Matt,Pat and Joey Trio LIVE ! Email for address info ! Matt EL ON THE THE STREET ! CALI&CO Dance and Matt EL Perform at SF Design weeks opening bash at PEIR 27 ! 100% of tip jar proceeds donated to Bread & Roses! Bring your dancin' shoes for this one as it promises to be a fun night of music, talk and laughs. Amie Penwell kicks things off followed by our interview guest Jack Boulware of Litquake and the whole shebang is headlined by The Welcome Matt who just might have some surprises in store. Hmmmm? Don't forgot complimentary hoppy-hour upstairs 6-7pm courtesy of 21st Amendment. The new Welcome Matt of 2017 ! IN THE FLEET ROOM ! Hey Check out this FREE Happy Hour show this week! RSVP and win a guitar ! SINGER SONG WRITER IN THE ROUND ! Matt and Joey rock Santa Maria !!! Hard Rock Cafe and American Cancer Society Present PINKTOBER - Rock for A Cause! Come to the Hard Rock Before the Walk. Making Strides Against Breast Cancer is more than just the name of a walk; it describes the progress we're making together to save lives and end breast cancer. Since 1993, nearly 7 million walkers have raised more than $400 million to help fight breast cancer through participating in the noncompetitive, 3- to 5-mile events. In 2010 alone, nearly 800,000 walkers across the country collected more than $60 million to save lives from breast cancer. Live music performances generously donated by The Welcome Matt and Bobby Jo Valentine! 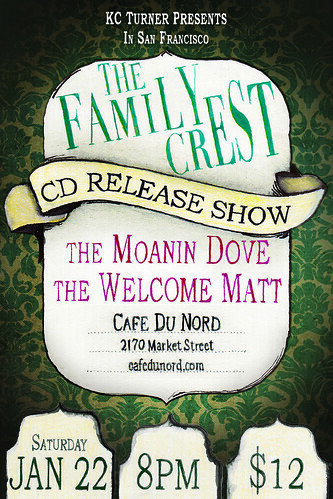 Cost: Free Doors: 8pm Show: 9pm ** All Ages** Enjoy late night happy hour and incredible EATS. Text 'UROCK' to 99000 on your phone for an immediate ROCK STAR offer! Donate $20 and receive a VIP Pink Party Pack: - 2 pink feather boas - Complimentary appetizer of the day - 2 VIP all access cards - American Cancer Society Benefit CD - 2 hour compliemtary parking - Reuseable Hard Rock Pink Ribbon tote All donations directly benefit American Cancer Society. 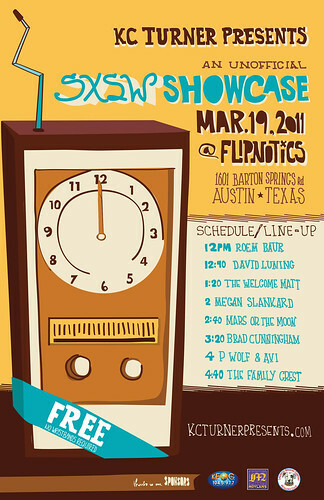 The Welcome Matt is on at 2pm sharp! 36 Performers - All Day Long - FREE Tip Jar will be passed w/ 100% of proceeds going to "Music in Schools Today" - a non profit that helps fund music education in the public schools system. FREE concert. part of the Polk Street Blues Festival (http://www.polkstreetbluesfestival.com/) Matt goes on at 4, but there is music from noon. All FREE! Buy Tickets Here: http://www.brownpapertickets.com/event/144495 $10-$20 sliding scale at the door Check website for more info: http://www.calidance.info http://www.dancemission.com MOVE THRU ME is the creative brainchild of Christine Cali of CALI & CO dance company and Matt Langlois of The WELCOME MATT. Two local SF independent artists in the prime of their creativity have come together to present MOVE THRU ME, a LIVE dance/music collaboration integrating Cali's unique dance-theater aesthetic with Langlois' provocative singer/song-writing style. Deeply investigative and wildly fun, MOVE THRU ME exposes the realities of the road less traveled as artists and free thinkers in a conformist society. Part modern dance, theater and rock concert, Cali and Langlois pioneer new territory inside of the performance art genre. Come see MOVE THRU ME and decide for yourself. MOVE THRU ME comes complete with an original soundtrack available on iTunes, music videos and paraphernalia. Guster is on the main stage! THE WELCOME MATT with CALI & CO dance, perform "MOVE through me" a collaboration between The Welcome Matt and CALI & CO as well as songs from The Welcome Matt's Members of Sound Project . On September 9th, 2010 a benefit concert for The Mr. Holland’s Opus Foundation entitled “Inspiration Move Me Brightly” will be held at the Connecticut Yankee bar in San Francisco, CA from 9:00 pm - 1:00 am. The event will be a showcase concert featuring local musicians. 21+ Matt Langlois is the featured performer at KC Turners new open mic @ Red Devil Lounge! Climate Theater & KC Turner Present... Nathan Dennen, Welcome Matt Trio, Dgiin $7 in advance/$10 at the door Get Tickets here: https://www.brownpapertickets.com/event/101546 Doors @ 7pm Show @ 7:30pm Come celebrate St. Patrick's Day at Climate Theater with some fantastic music! Nathan Dennen: http://www.myspace.com/nathandennen Born and raised in the small country town of Oakdale California, Nathan started learning piano at the age of six. Though he took a couple years off to teach himself guitar he eventually fell back into his old piano playing ways and started writing songs. His music has been described as a mash up of old saloon style mixed with a little jazz and touch of folk funk; if such a thing exists. He lived in Santa Cruz for 5 years and played at many of the local venues there. He currently lives in San Francisco and is working on his much anticipated first album to be released this summer. 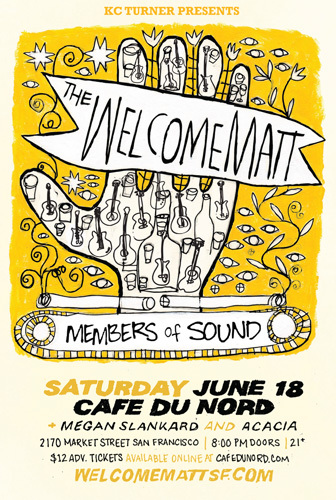 The Welcome Matt: http://welcomemattsf.com Resurrecting Shannon Hoon's velvety harmonies to guide pop's light into a sleepy night, The Welcome Matt produces an intriguing thing of pure emotion with his second release, Empire Days. Sumptuously gliding vocals that not only slide easily off the tongue but also have something to say, paired superbly with a lilting minimalist musical construction, make for a record daring you to pass it by. Drifting somewhere between Wilco's Jeff Tweedy and Bob Dylan, Matt Langlois has mastered a sense of lyrical spacing and rasping and dreamy opinion to produce an album so perversely alluring, it's nearly obscured by its own charm. Dgiin: http://www.myspace.com/dgiin Gin, as most of us know it, is a strong colorless alcohol flavored with juniper berries. Another less widespread meaning of the word djinn is a mischievous spirit, often confined to a bottle due to reprehensible acts. Dgiin is better known around Sonoma County as a band with a unique style encompassing various cultures and influences and songs sung mainly in French. The band originated 8 years ago in Santa Rosa and can be described as French-Gypsy-Funk with a twist. The Flamenco-Django-esque band puts on one memorable show accessible to all types of tastes and ages. Their energetic performances draw a lively crowd that can dance all night.